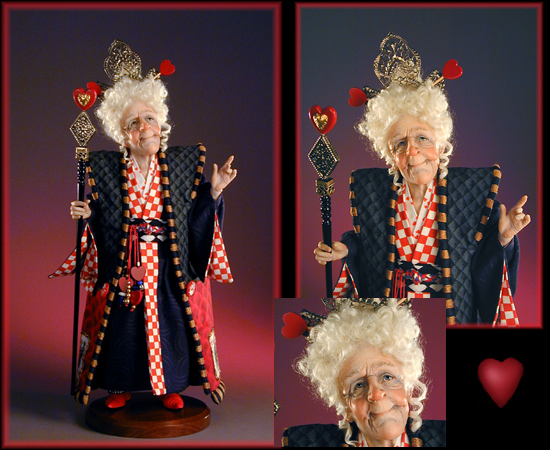 The Queen of Hearts ... Retired! One of a kind, hand sculpted in Quality Polymer Clay and hand tinted. Original Clothing designs. Stand approx. 14" tall.